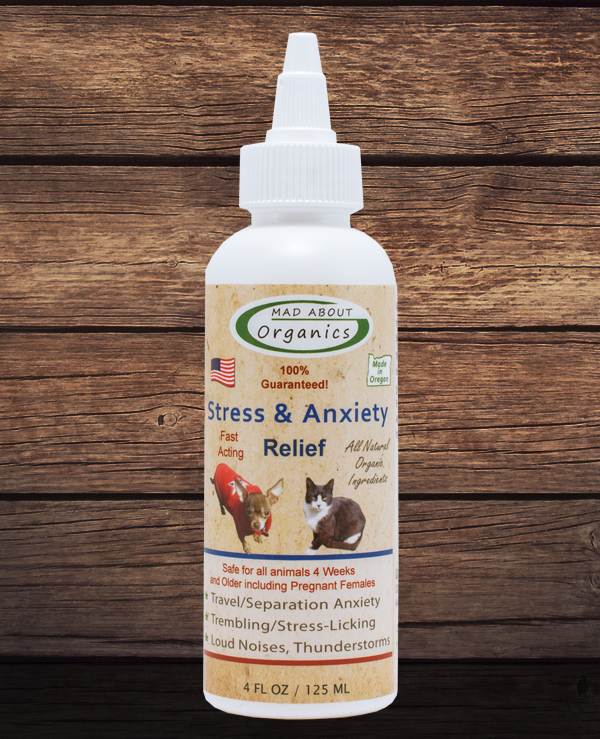 Mad About Organics' Organic Stress and Anxiety Relief is a calming treatment for pets that get anxious during thunderstorms, fireworks, in large crowds, fear of traveling and when separated from their owners. Our Stress and Anxiety Relief treatment is a natural blend of flowers and herbs that help calm stress and anxiety quickly. Mad About Organics' Stress and Anxiety Relief is made in the USA - based in Eugene, Oregon and packaged in recyclable materials. 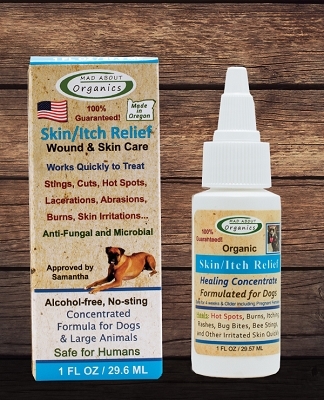 Wonderful for dogs who are upset with fireworks. I shared with several friends and they all were thrilled. For best results we recommend to apply directly onto the gums. Apply as often as needed, up to two maximum doses in one hour, but no more than five doses each day. Caution: Discontinue use if irritation develops and follow up with you veterinarian or doctor.